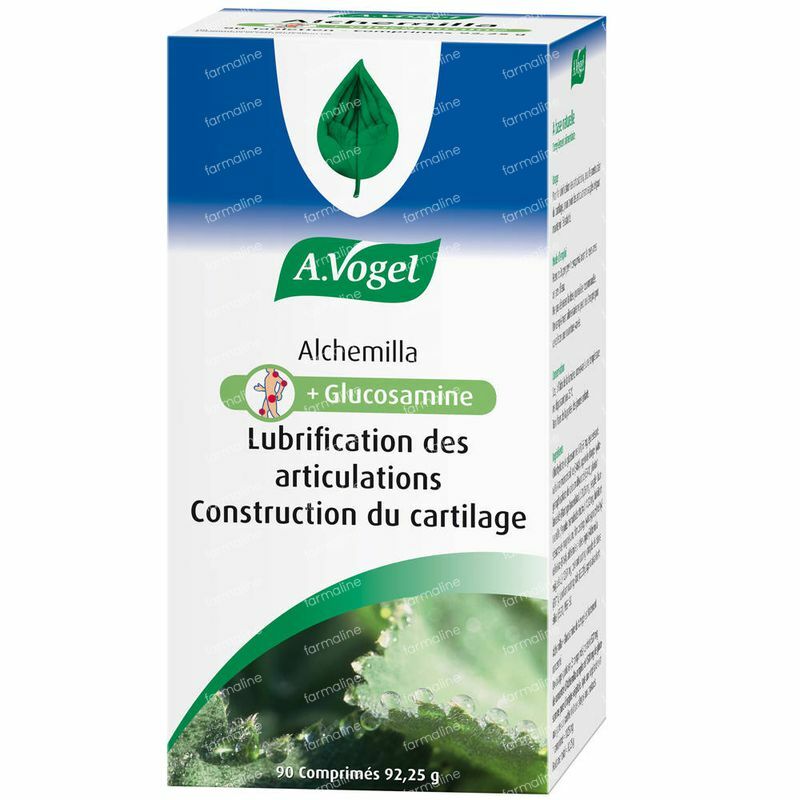 A.Vogel Alchemilla + Glucosamine 90 tablets order online. Take 2x a day 1 tablet before meals with water. Not exceed the stated dose. Dietary supplements can not be used as a substitute for a varied diet. For complains, it is wise to consult a doctor. Glucosamine hydrochloride, microcrystalline cellulose, dicalcium phosphate dihydrate, Plant Extracts: Plantago lanceolata (narrow plantain), Populus tremuloides (aspen), Alchemilla vulgaris (lady's mantle) 1.3%, Magnesium Stearate, Hydroxypropyl Methylcellulose, Titanium Dioxide, Talc, Silica, PEG-150. Glucosamine is derived from shellfish, so it is not suitable for vegetarians and people with an allergy to shellfish! I'm very satisfied about this product. It maintains the joints flexible. I take this because I have a little bit of osteoarthritis in my wrist and knee. A recommendation. After one week of taking the Alchemilla+ Glucosamine tablets I'm feeling much fitter in the morning. The movements go much easier, I can really feel the difference.